Are Expesive Haircare Products Worth it?? 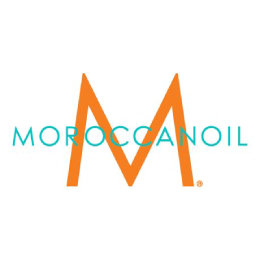 Moroccanoil? Ok, so I went and got $49 partial highlights again and they came out great! They used this AMAZING smelling stuff to wash my hair and then some oil afterward. I'm telling you, it smelled like heaven! They didn't have the product at the salon for me to purchase so I planned to buy it elsewhere. However, I failed to find out the name of the product. I did remember seeing Sebastian haircare products at the salon so I went out and bought some Sebastian conditioner at Ulta for almost $10 and used it the next day. The smell was nice but just not the same. But you'd think paying $10 for a conditioner would make one's hair a little nicer. Nope. My hair was just as frizzy and witch-like as ever. But I was on a mission, I was obsessed to get that heavenly smell back into my hair! So I emailed the owner of Plan B salon and he said that they used Moroccanoil brand products. I went to Dellaria and purchased a $22, yes $22 bottle of conditioner. This was it, the smell is amazing but it didn't stay at all and my hair was still frizzy!!! Grr. SO, my next step was to try the hair oil. It got great reviews online but one full size bottle was $43!!! I did some research and discovered that they also make a travel size version for about $15, so I bought that online. Sure, my hair smells nice but the fragrance is still not as strong as when I left the salon that day. Not to mention that my hair was still frizzy! It was as if I hadn't put anything in it at all. In conclusion, I guess I'm glad I bought this stuff b/c it does smell really nice. However, I will not repurchase b/c it doesn't make my hair look any better. Update 9/19/2013: Ok, so I did repurchase Moroccanoil Treatment b/c after I tried it a few more times I realized that it really does make a difference in my hair! I put it in my hair when it's still wet and then blow dry and style right away or let it air dry and style it later. Not only does it smell amazing, it holds my curls (from a curling iron) longer and makes my hair look much healthier in general. There are very few haircare products that I'm attached to and this is definitely one of them.